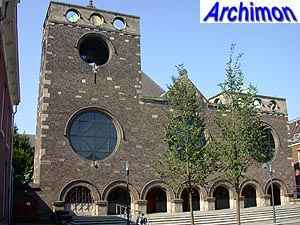 In 1931 architects H.W. 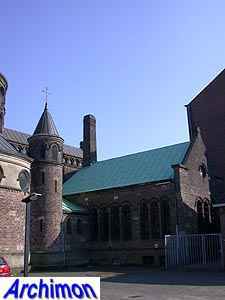 Valk and J.H. 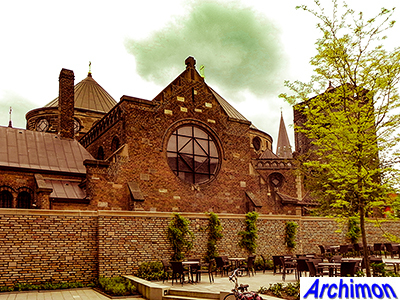 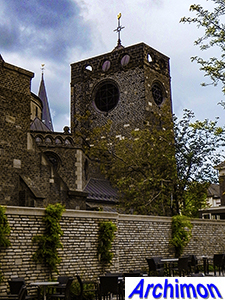 Sluijmer were given the assignment to jointly design a new catholic church for Enschede as a replacement for a neo-Gothic church built on the same location in 1863. 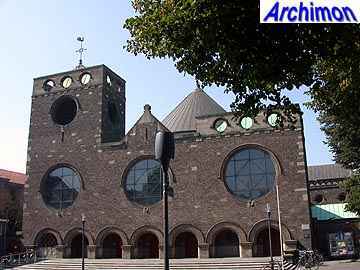 It is unknown how and why the two architects got together for this assignment, both being mostly active in entirely different parts of the country, but Sluijmer had worked as an executive architect on Valk's church in Haalderen shortly before. 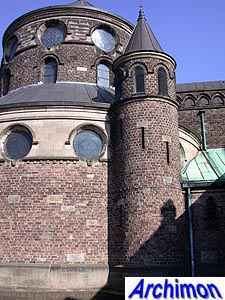 The assignment asked for a centralizing church with a good view on the altar from three sides (nave and both transept-arms), a type of church Valk had designed several times before. 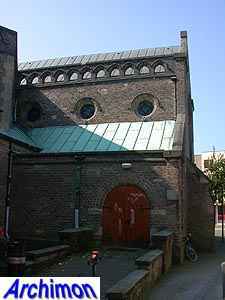 The resulting church however doesn't quite look like a work of Valk, nor does it look like a work of Sluijmer. 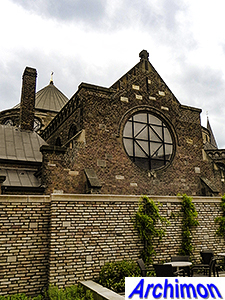 Apparently the contributions of both architects resulted in something entirely new. 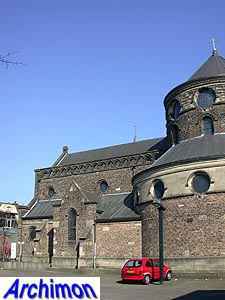 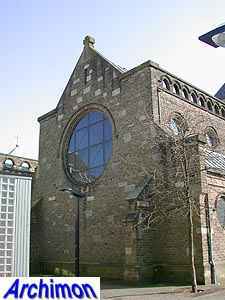 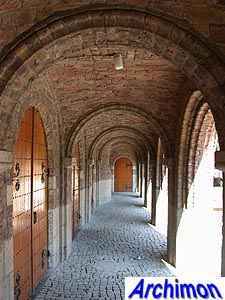 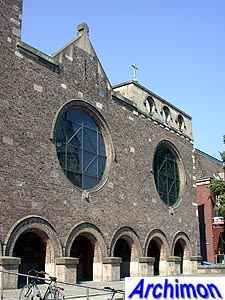 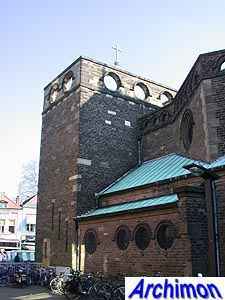 The church has a wide assymetrical facade with a narthex, a short tower and three big circular windows. 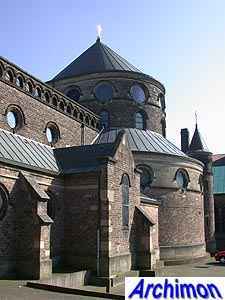 Behind that is the polygonal nave, on top of which is a circular dome. 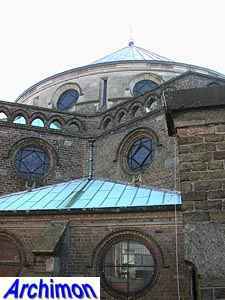 The choir is also covered by a dome and has an ambulatory. 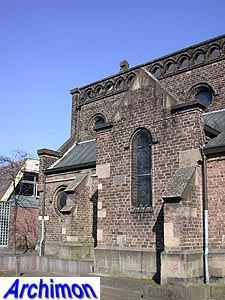 It is flanked by transept-arms. 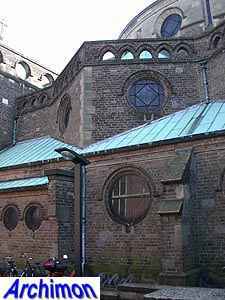 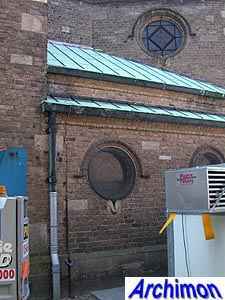 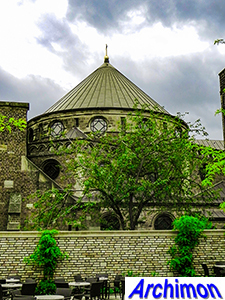 A combination of brick and natural stone was used for the church, with copper for the domes. 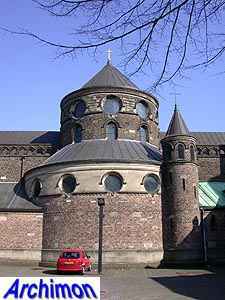 The style in which the church was built is often referred to as neo-Byzantine.